Happy birthday to all, happy birthday to all, happy birthday Boring Adelaide, happy birthday to all. 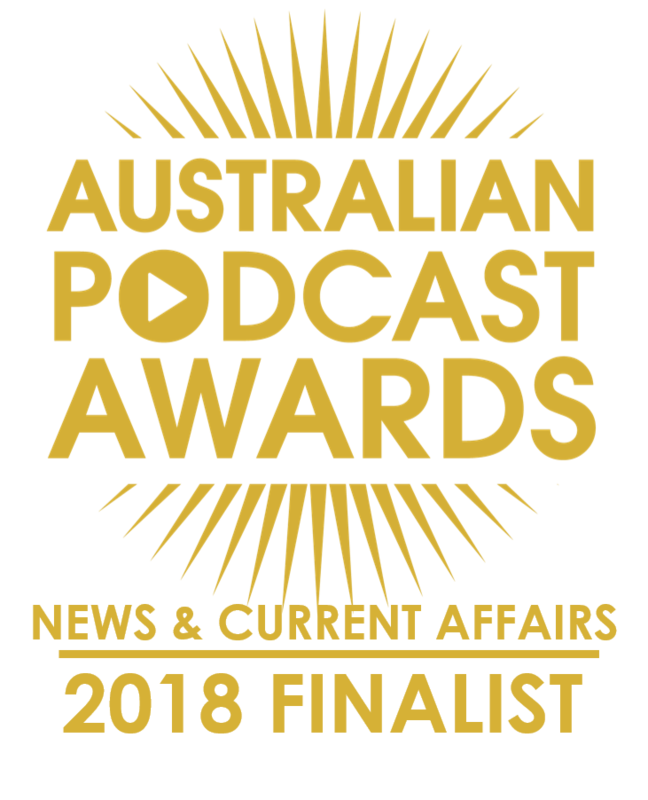 Thank you, everybody, for listening to our show during its first year. We have LOVED your comments, your loyalty, your interest, your likes, your social media sharing, your love for Adelaide and South Australia! For our first birthday show, we left the Anthem Studios and recorded at Cafe De Vili’s in Mile End. Many thanks to Vili, Ben, Sam and the crew for hosting us – you helped heaps with your hospitality. Pictured: from front left moving clockwise, Colin Long, Brett Monten, Steve Davis, John Gledhill, Nick Kellet, Susan Lily, Chloe Reschke-Macguire. Photo by Rachel Forrest. We chose Cafe De Vilis because we discovered in episode 50 that Brett Monten and Susan Lily had NEVER eaten the South Australian icon dish, the pie floater. Neither had Nick Kellet, our guest from England and Canada. So our birthday show was chosen as an excuse to baptise them into the great South Aussie ritual of drowning your pie in pea soup and ladelling tomato sauce and a little vinegar on top. 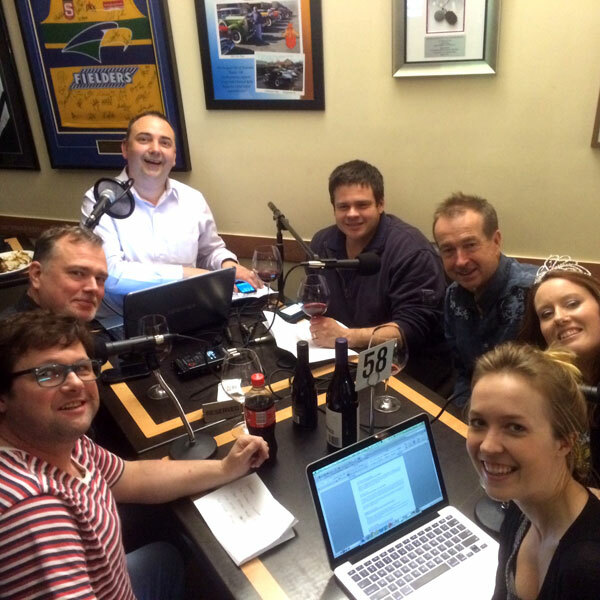 We were joined by Rosemount Estate winemaker, John Gledhill, who brought a multi-trophy-winning Rosemount 2012 GSM from McLaren Vale for the SA Drink Of The Week. Chloe Reschke-Macguire from Yelp joined us to highlight some much-loved Adelaide icons. And from our community of wonderful listeners, we had humbling messages from Vincent Brown, Dave Walsh, Alice Carr and Tony Drake. We also reveal the three most listened-to episodes of our first year. And we were joined by our much-loved founding member, Colin Long. Brett also snuck in some high energy music from Kyle Landman. 00:00:32 Theme Theme and introduction. Our original theme song in full is here, Adelaidey-hoo. 00:02:40 South Australian Drink Of The Week Rosemount Estate 2012 GSM, McLaren Vale. Tasting notes coming Sunday. 00:06:50 Shout outs Tony Drake, Dave Walsh, Alice Carr and Vincent Brown all sent us audio shout outs this week. We also share a thank you to all our Nigels who make our show possible. Thanks heaps! Nick Kellet, Susan Lily, and Brett Monten share their ‘first time’ experience live. 00:19:46 Interview: Chloe from Yelp Chloe takes us on a tour of Adelaide icons thanks to the guidance of reviewers on Yelp. Here are Chloe’s icons of Adelaide. This is a group reflection on personal highlights from our first year of episodes, including the three most listened to episodes. Can you guess which ones they are? Nick shares a Massey Fortified Shiraz, discovered unexpectedly at a market last weekend. This draws winemaker John into the discussion about our inability to use the term ‘Port’ any more.